The Lehigh Valley IronPigs would like to be the first team to welcome the New York Mets' Triple-A affiliate to the International League North Division. Starting in 2019, the Mets' Triple-A operations will shift from Las Vegas in the PCL to Syracuse and the Syracuse Chiefs will now be known as the Syracuse Mets. 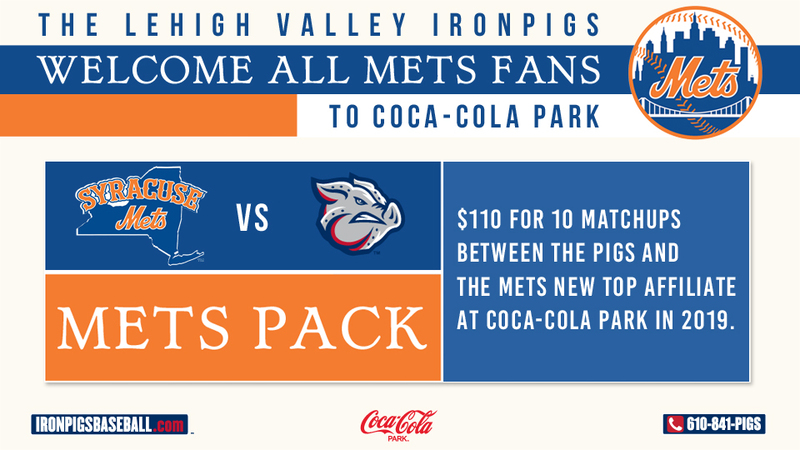 To celebrate, the IronPigs are pleased to offer special plans that give fans a seat for 10 contests between the IronPigs and Mets next season at Coca-Cola Park. Each plan costs just $110. The Mets farm system features 2007 Heisman Trophy winner Tim Tebow, former Phillies prospect Franklyn Kilome and four of the top 100 prospects in Minor League Baseball. Tebow has been a part of the Mets organization since 2017. This season at Double-A Binghamton, he hit .273 with 36 RBI and 6 home runs in 84 games before a broken hand prematurely ended his All-Star season. The 'Mets Plan' was the first mini-plan announced by the IronPigs for the 2019 season. 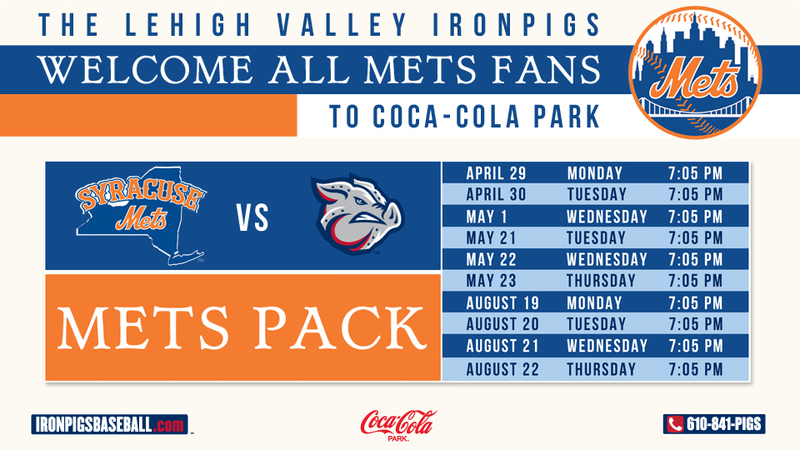 Full-season Bacon, USA memberships,, as well as 35-, 17- and 9-game offerings are available at the Coca-Cola Park ticket office or by calling (610) 841-PIGS (7447) x3.